The O’Neal School’s boys’ soccer team continued to play well in their EPIC Conference match with a strong performance, earning a 5-2 win against a tough opponent, Carolina Friends School. 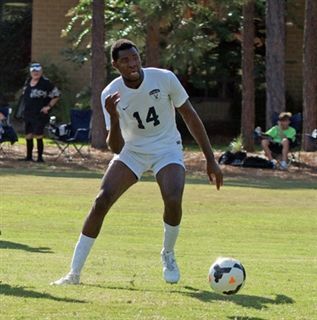 The Falcons were led by Junior, Manny Baningo (2018), whose hat-trick propelled O’Neal to 7 wins and 1 loss on the season and 5 wins and 1 loss in the EPIC Conference. Freshman Ethan Ellis (2020) added the final goal of the match. O’Neal is now at the half way point of their season and have built a solid foundation for the second half of the season. O'Neal returns to action with the away leg of their double-header against Carolina Friends on Tuesday, September 27, with a 4pm kick off in Durham, NC.